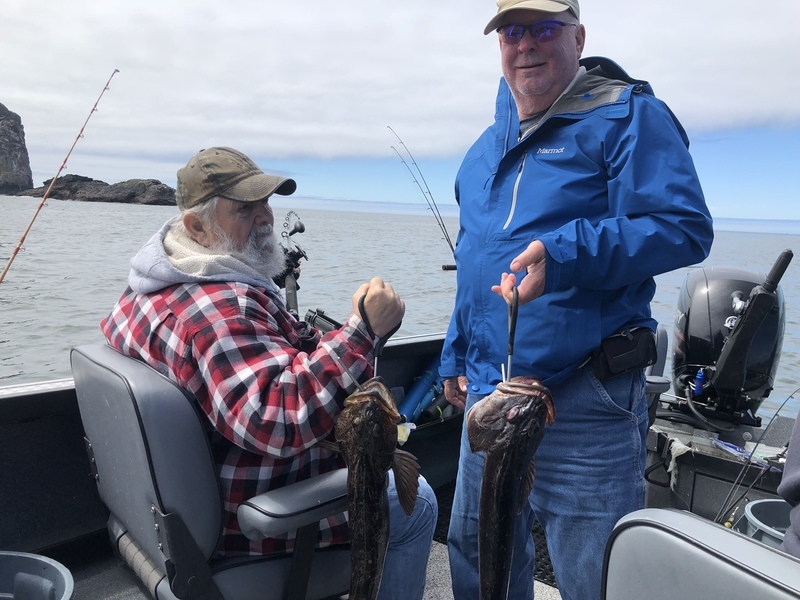 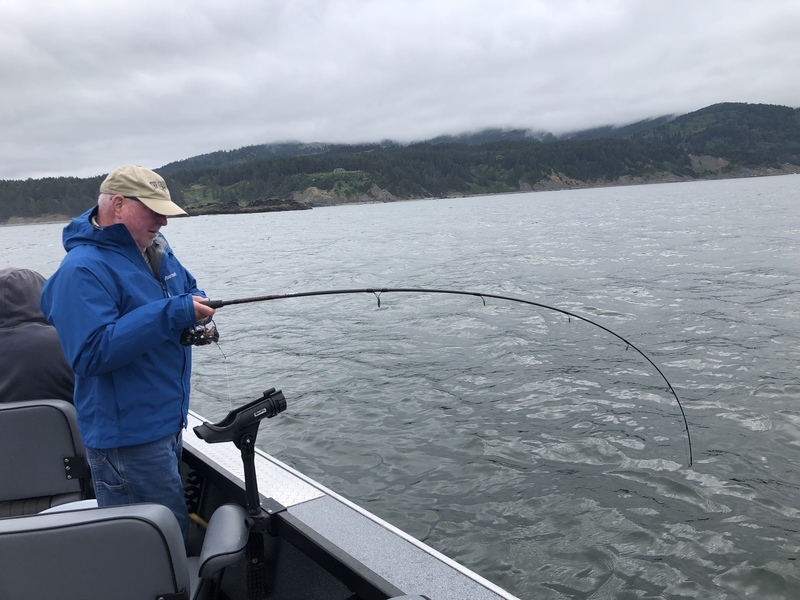 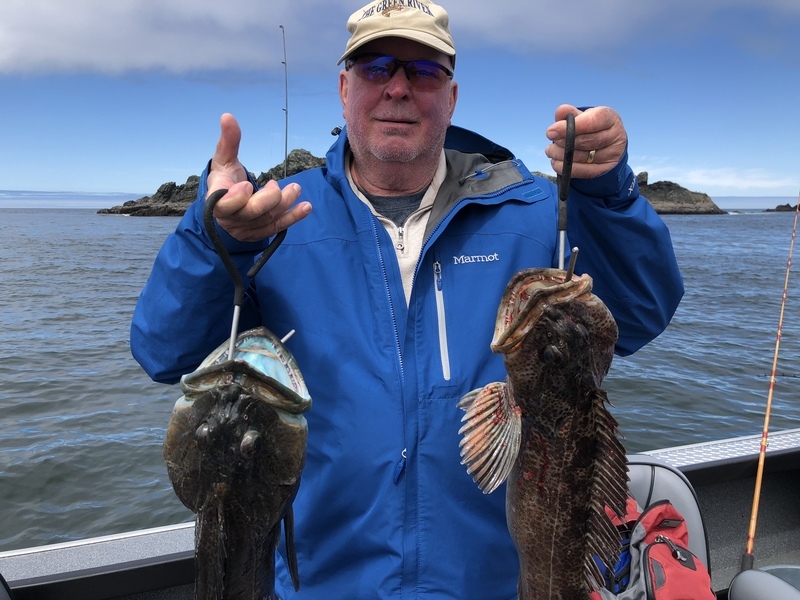 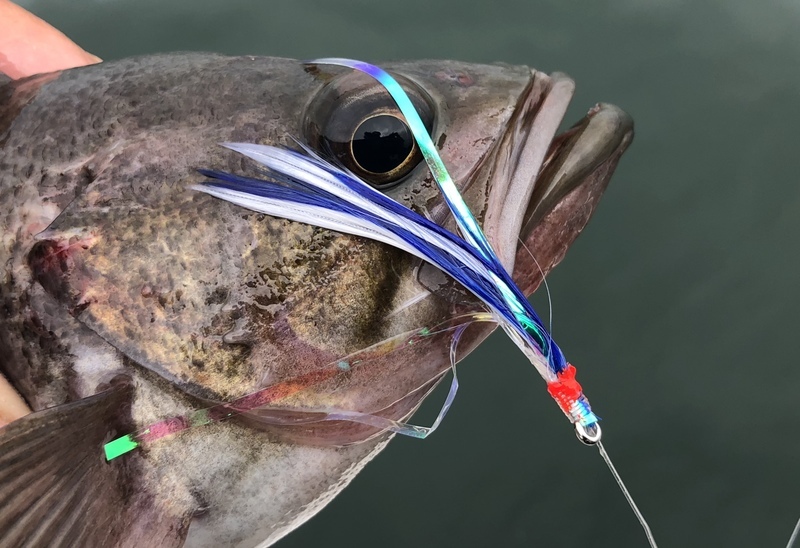 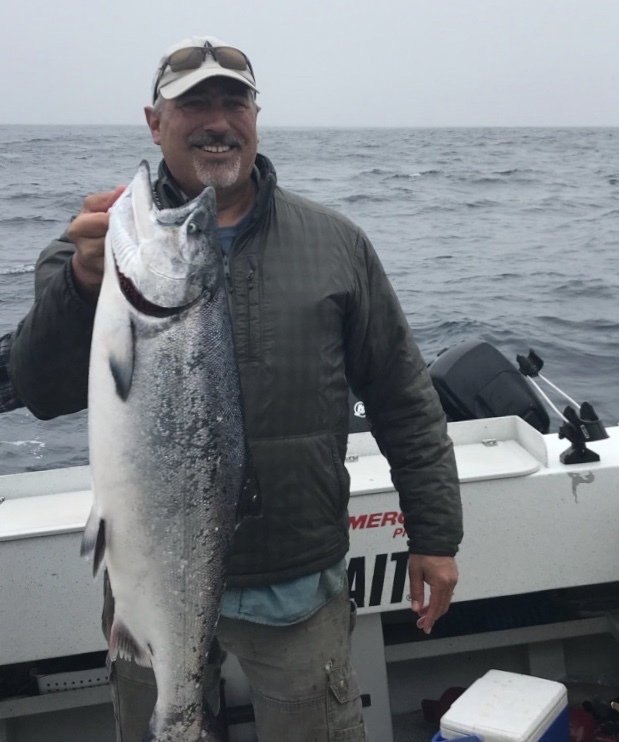 Windy weather has made fishing tough this week, but Thursday was calm enough to get to Mack Arch, where there was a good rockfish bite and decent action for lingcod. 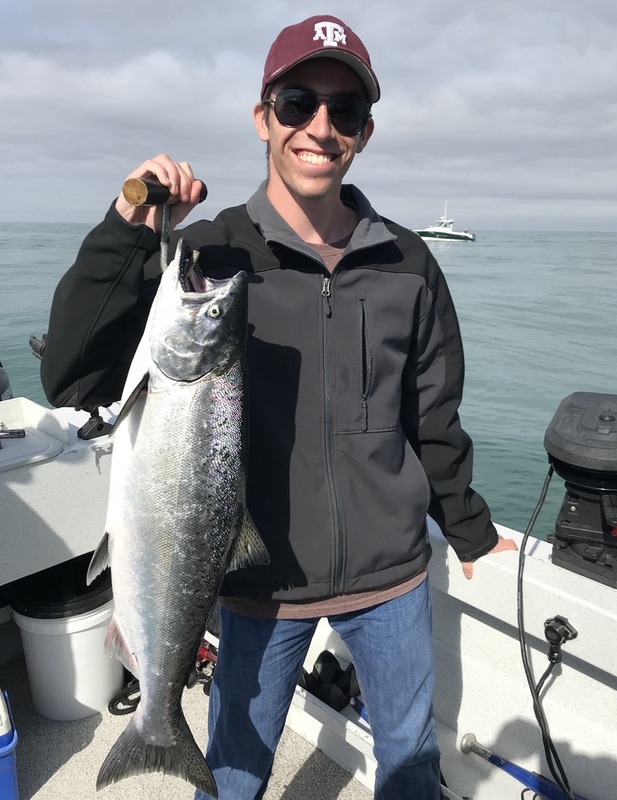 The Miss Brooke got an angler into a 25-lb. 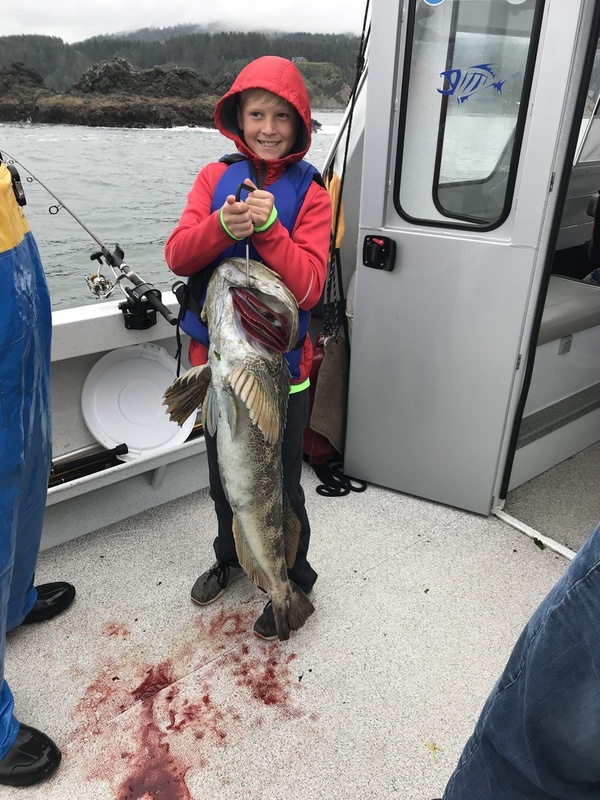 lingcod. 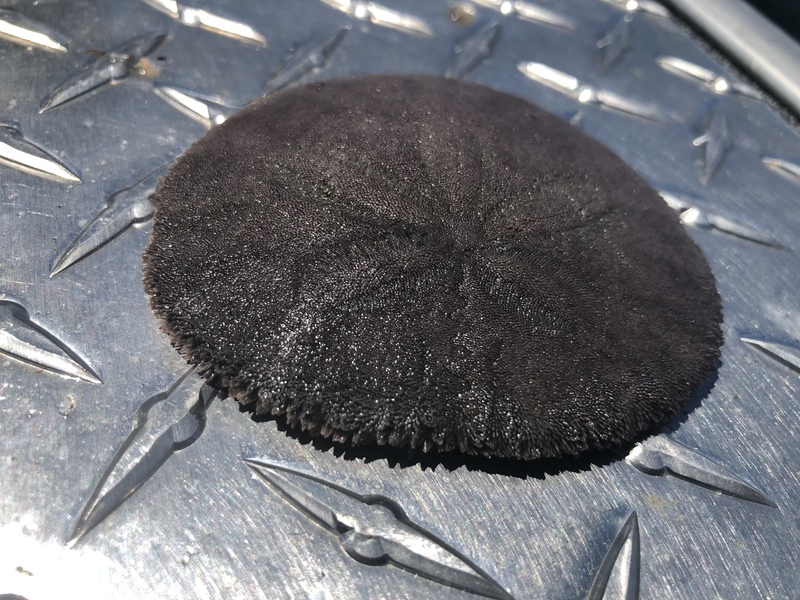 Sand dollar in crab trap.